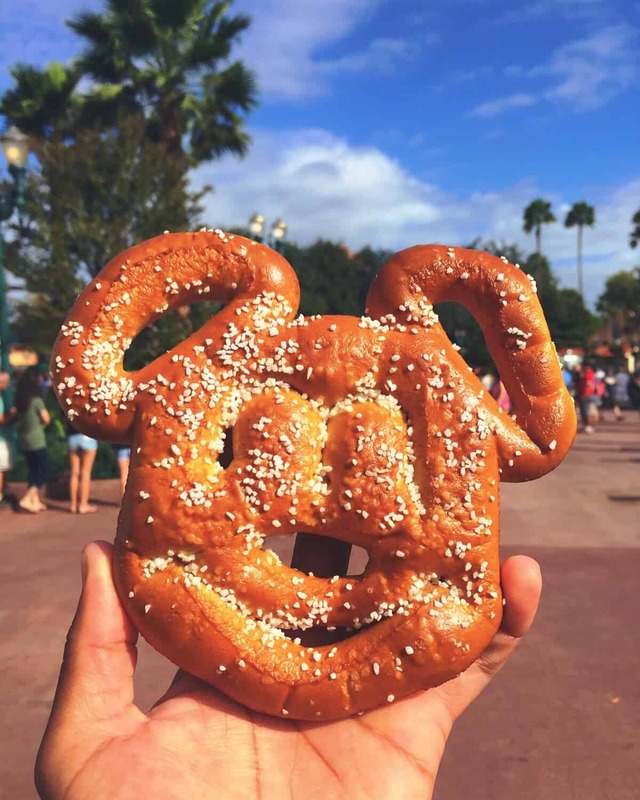 Whether if you’re walking “around the world” or trying to ease your hunger before you conquer Space Mountain, there are plenty of salty snacks that you can enjoy at Walt Disney World. Because, hey, let’s be honest, you’re not always going to want something chocolatey, caramely, or red velvety. Below, you’ll discover some of the best options that you can enjoy at all the parks and Disney resorts. So with that being said, let’s jump straight into the listing! Here are the best salty snacks that you can enjoy at Walt Disney World. By far the best “snack” at Disney that everyone needs to get at least once during their visit. Get it from Fire and Drum Tavern in Epcot or Toluca Legs Turkey Co. in Hollywood Studios. You can get this from every park. Just look for a popcorn cart! Pretzels taste better when Mickey shaped. Get it from every park at all the pretzel carts and stands. By far the best Pretzel at Disney World. You can get it from the America Pavilion at Epcot. Get it from the Flavored Popcorn Cart in Epcot outside of The Land. Get it from Sommerfest in the German pavilion in Epcot. These fries or “chips” are way better than the normal Disney World fries. Get it from Yorkshire County Fish Shop in the UK pavilion at Epcot. One of the best snacks (or even lunch options) in Epcot. Get it from La Cantina de San Angel in the Mexico Pavilion at Epcot.